If you’re reading this, there’s a good chance that you need no introduction to our friend Matt Farah. On the off chance you do, you should know that he’s one of the most prolific automotive YouTube stars on the scene today, and has been belting out deep cut car nut podcasts under the name “The Smoking Tire” for quite some time. What draws me into Matt Farah’s universe isn’t his podcast or his videos, however, it’s what inspires those. If you have the chance to speak with him at some point on the side of the road on a Sunday afternoon, you’ll immediately be impressed by just how knowledgeable this guy is. There’s scarcely a chassis number on any marque he can’t recite by memory. But never, at any point in my handful of conversations with him did I ever feel like he was speaking down to me, or making me feel inferior on my lack of knowledge around Fox Body Mustangs. He’s a true “car guy’s car guy”, as they say. 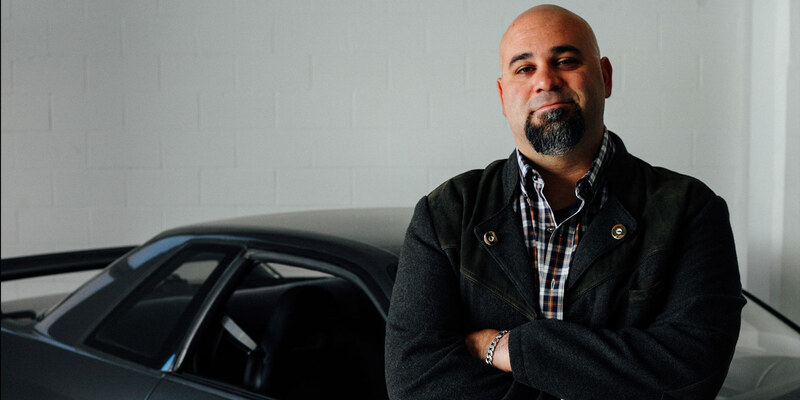 Ted Gushue: So what was your first car, Matt Farah? Matt Farah: Well, my first car was a hand-me-down from my mother. It wasn’t really mine, but I used it. It was a 1996 Mercury Villager, Nautica Edition. MF: Oh yeah, with the white, it looked like a capsized sailboat. Back before the Villager drove people away from buying Nautica clothes. I killed it. I took it off-roading and it died a pretty brutal death. TG: Why are we obsessed with off-roading as kids? MF: Because it seems like you’re misbehaving. It’s not like as kids we get have access to lifted Moab-ready Jeeps. You’re talking about your mom’s minivan. Off-roading that is incredible, because it’s still something that feels wrong even when I do it at 34 years old now. This is just the very beginning of the interview. For the full interview head over to Petrolicious. ← Previous Post: The Ultimate Tow Vehicle Is For Sale!